PaSsu Diary : Who Will Pay for the Damage? Road blocks and Landslides have a long history in our country and as of now there is no sign of learning from the mistakes. We don't have to worry about waterways and railways like other countries but as is our Bhutanese nature we even forget to worry about what we have to worry about.We have tried doing big things like the big worlds but we have lost our grip over small things. We have more airports that brought in more shame- ours must be the only airports with potholes. We have built bigger roads and started having bigger landslides- thank god the rainy season is very short otherwise there won't be a road left on the hills. 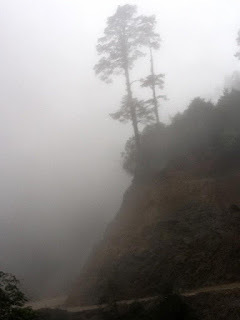 Some one lost his land cruiser to the landslide near Dochula but he is happy it spared him, so is my friend who lost his pickup yesterday along with five other vehicles when a tree fell on to them. I was a victim myself, I was greeted with rolling stones at Nobding last year and in last few years we heard of many mishaps caused my roadblocks and landslides. But in none of this cases people are held responsible, except the drivers. I was seeing my friend who was a victim of Dochula mishap yesterday and asked him who will repair his vehicle. He looked at me in surprise, as if I stole the question from his mouth. Yes, who will pay for the damage? Whose name is written on this tree? 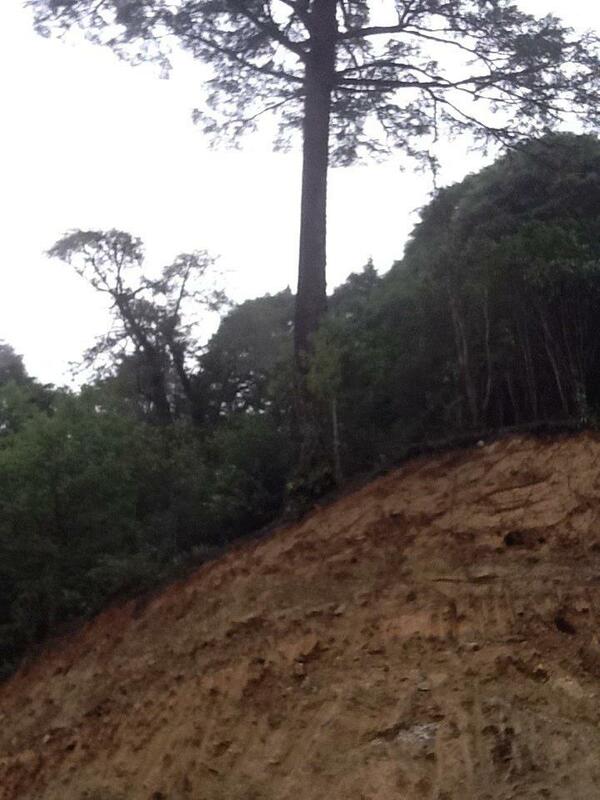 It's time we differentiate between the natural and man-made landslides. Natural landslides are the ones where slides occur without the intervention of human activities, and those that are causing problems these days are for us to judge. Road widening projects are vital for the growing economy of the country but what they leave behind is a ticking time bomb. 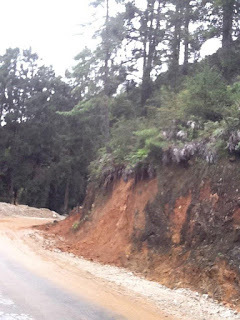 They save cost by focusing on the road and forgetting the hills they have damaged, even an ordinary observer like me can see how many rocks are waiting to fall, and how many trees are ready come on to the newly widened Thimphu-Wangdue highway. Disaster management should be intervene, do hazard hunting and let the road builder rectify the potential disasters before roads are taken over. 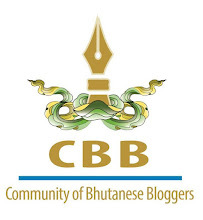 Accountability should come to Bhutan now. Time Bomb ticking its last seconds! In the wake of time, when we dare say that if a child commits crime parents bear the punishment, we can rightfully take road contractors to court in such mishaps. In air crash investigation we see how a screw making company goes jail because it was a faulty screw that caused the crash. But here we are talking about something far bigger than a screw, for everybody to see and still we let it go. If we let somebody pay once, perhaps it may never repeat again. So who will pay for the Damage? Hazard Hunting pictures are taken by Tashi Dorji. Used here with his kind permission. Who will pay for the damage? This is very important issue that sir raised through this blog. I would too join sir to ask the same question. 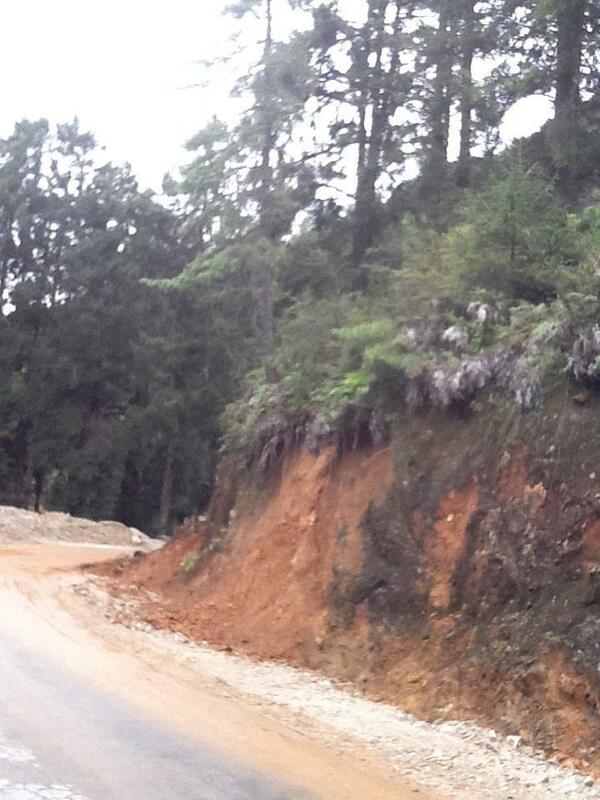 Ofcourse, we must also know that ours is the hilly country where it is very difficult to widen the road. some roads just run through the cave. We must appreciate their effort to widen such roads but please make it safer for the people. Atleast, don't keep the falling boulders on the slope above the road. Otherwise it would be far safer gore the travelers. May be insurance company....!, if the owner paid last due,.! thanks God for saving the lives in that vehicle. Sathesh, Insurance company will repair the damages but if we don't have a system where by we make people responsible, then such mishaps will continue to happen, and many lives could be lost. Gayatri, we should push this issue forward. Monu, there are many hilly countries where roads are build in tune with the nature, and what we are doing is very aggressive and often brutal. We can prove that 40 years is enough to understand our own geography and build better roads, to keep the small nation connected across seasons.